Rene Girard’s Mimetic Theory is based on the principle that human beings are mimetic creatures. We imitate what we see in others. In fact, our desires are not actually our own, but desires we have copied from others. The more we imitate each other, the more alike we become. Increasingly, we vie for the same desires and we become rivals. The more human beings imitate each other, the more individuals become alike. Distinctions between individuals are blurred as they mirror each other. The boundaries between individuals which keep order, begin to disintegrate. Increased rivalry creates increased violence and the blurred boundaries threaten to destabilize the social fabric. It is critical that the members of the community be completely convinced that the scapegoat is guilty for this mechanism to restore order. That is why the scapegoat must be accused and slandered before he is killed, but after the killing, everyone attributes the restored order to the scapegoat’s sacrifice. In this way, the sacrificial victim becomes responsible for both the violence and the peace in the community. He becomes “the sacred”. Girard proposes that world mythologies and religions hide the scapegoat mechanism within the sacred rituals of sacrifice. These rituals are a re-enactment of the very first killing of the sacrificial victim through which the first community established order. In a sense, these ritual sacrifices serve as “booster shots” to inoculate the participants against disorder. With order established, a culture can thrive. This founding of a culture through the killing of an innocent victim, which was then justified through the telling of a story in which the victim deserved to die, is why Girard says that the foundation of culture was based on a murder and a lie. To summarize, in Girardian Theory there are two principles: Mimetic desire and the sacrificial victim. There are five themes in mythology which point to a ritual murder of a scapegoat. As Rene Girard continued to examine the mythologies of primitive peoples, he noted a difference in one particular set of stories. The stories from the Hebrew and Christian texts seemed to have a slightly different perspective than those of other mythologies. In these stories, the scapegoat was not always guilty. In fact, these stories were told from 180 degrees the opposite perspective of the other world mythologies. They were told from the perspective that the sacrificial victim was innocent. From the stories of Abraham and Issac, Job, Joseph and many others, we can see that these victims were falsely accused. Girard explains that the New Testament culminates in a story about the most innocent victim of all: Jesus Christ. There is no question of His innocence and it is this unquestioned innocence that unveils the scapegoat mechanism, which had been used since the foundation of the world to restore order, as an injustice. The apocalypse, which means “the lifting of the veil” is the revelation of things hidden from humanity since the beginning. Because order had been established through an unjust murder, Jesus’ death reveals that the foundation of culture was based on a murder and a lie. His resurrection reveals that God didn’t want sacrificial victims to atone for another’s sin, but rather that God expects each of us to take responsibility for our own feelings of shame and envy. Jesus knows that we are mimetic creatures and he asks us to imitate Him, not as rivals but as a model to aspire to. 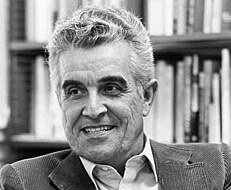 Rene Girard’s theories now cross the fields of literature, anthropology, theology, philosophy, sociology, and psychology. Discussion continues as new applications are being discovered in fields as diverse as neurology and economics.